The project investigates the relationship between two ontologically different spaces: the space of the cinema, in which the spectators are present physically and the space on the screen, which the spectators cannot enter with their bodies but only imaginatively. Backstage-Films which deal with the entertainment industry on Times Square in New York in the first decades of the 20th century are instructive for this relationship between two ontological different spaces: They present shows on stage and events behind the stage and explore their interdependence. 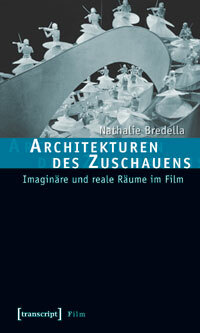 The book examines how Backstage-Films create meanings by relating the two ontologically different spaces and directs the attention to filmic and architectural means which are used for constructing them. Events behind the stage can either confirm events on the stage or can reveal them as illusions. Between the two extremes there is a variety of differences that enable Backstage-Films to comment on the stage / backstage interdependence. In addition the book explores the activities of the spectators in the cinema who supplement what is not presented on the images of the screen.